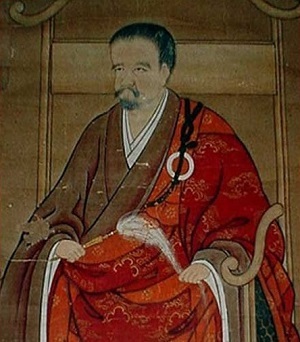 The master Bankei's talks were attended not only by Zen students but by persons of all ranks and sects. He never quoted sutras not indulged in scholastic dissertations. Instead, his words were spoken directly from his heart to the hearts of his listeners. "Hey, Zen teacher!" he called out. "Wait a minute. Whoever respects you will obey what you say, but a man like myself does not respect you. Can you make me obey you?" "Come up beside me and I will show you," said Bankei. Proudly the priest pushed his way through the crowd to the teacher. Bankei smiled. "Come over to my left side." "No," said Bankei, "we may talk better if you are on the right side. Step over here." The priest proudly stepped over to the right. "You see," observed Bankei, "you are obeying me and I think you are a very gentle person. Now sit down and listen."